Hood River Distillers, the largest and oldest importer, distiller, producer and bottler of distilled spirits in the Northwest United States, signed an agreement with the world’s premier bull riding organization, the PBR (Professional Bull Riders), to make its Pendleton® Whisky the official whisky of the PBR BlueDEF Tour (BDT). At each stop along the 2016 and 2017 BlueDEF Tours, Pendleton Whisky will enjoy national partner status with in-arena signage and PA announcements, rights at BDT pre- and post-event parties, and branded elements within the PBR’s livestreaming broadcasts of BDT events on PBR LIVE. The partnership also calls for a retail activation promotion in select markets. The PBR’s expansion tour, the 2016 BlueDEF Tour, will make stops at 25 key cities across the U.S., featuring markets such as Oakland, California; Denver; Salt Lake City; Portland, Oregon; Milwaukee; and ending with the BDT Finals in Las Vegas. The top five riders from the final BlueDEF Tour standings will qualify for the PBR World Finals. 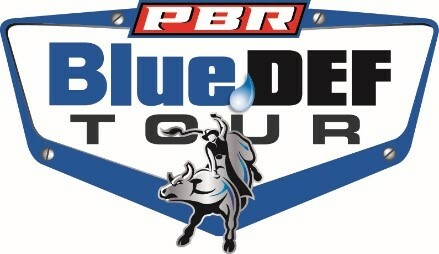 All of the action and excitement can be seen live weekly on PBR LIVE. Pendleton® Whisky is imported, bottled and marketed by Hood River Distillers of Hood River, Ore., and is available nationwide. The oak barrel-aged whisky uses glacier-fed spring water from Oregon’s Mt. Hood and is known for its uncommonly smooth taste and rich, complex flavor. Pendleton Whisky is the official spirit of the Professional Rodeo Cowboys Association (PRCA), and the presenting sponsor of the All American ProRodeo Series, which includes 400-plus PRCA rodeos. For more information, visit www.pendletonwhisky.com. Founded in 1934 and headquartered in Hood River, Ore., Hood River Distillers is the Northwest’s largest and oldest importer, distiller, producer, bottler, and marketer of distilled spirits. Pendleton® Whisky, Pendleton®1910 Rye Whisky, Pendleton® Midnight Whisky, Trail's End™ Kentucky Straight Bourbon Whiskey finished with Oregon Oak, Sinfire® Cinnamon Whisky, Yazi® Ginger Vodka, ULLR® Nordic Libation, HRD® Vodka, Lucid® Absinthe Supérieure, the complete line of Monarch® distilled spirits and the Clear Creek Distillery portfolio are just a few of the company’s brands distributed across the country. Hood River Distillers is a member of the Foundation for Advancing Alcohol Responsibility and promotes responsible drinking habits. For more information, visit www.hrdspirits.com.